.."that special dress that will make mom shine on your wedding day!".. Mom's turn to shine! 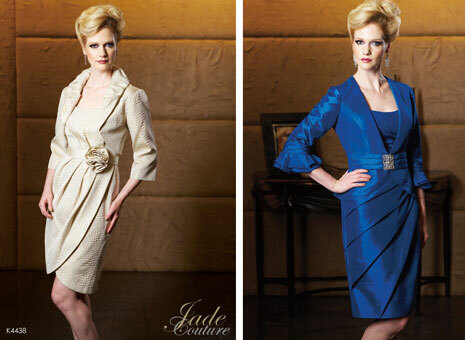 When looking for the perfect mother of the bride dress in Toronto, mom will definitely have no shortage of options. Here is a sampler of what's available in the big city. 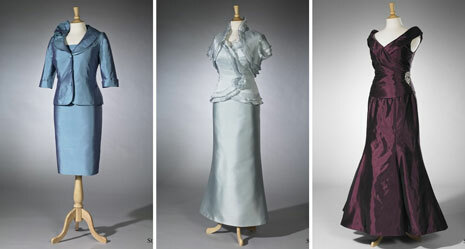 We have selected only a few representative dresses, from each collection; click the images to visit the designers' websites for the full catalogues. Family owned Angie's Bridal Boutique (311 Dundas St E in Waterdown, 905-689-8400) offers a wide selection of dresses for mothers and grandmothers alike with collections from Mori Lee VM and Jade and Jade Couture. Bea Shawn Fashions (389 Main North in Brampton, 905-457-3363) has something for everyone and every body, with sizes ranging from 8-26. Their collections feature gowns from Obsessions Couture, Sarah Danielle, Caterina, Alfred Angelo, Avanti Designs and even canadian label Glamor Design. Edith's Fashions (1113 Finch Ave. W., North York, 416-633-4222) features a variety of collections like Montage by Mon Cheri, Cameron Blake, Avanti Designs, and Obsessions Couture (photos, for all these, see above) with styles ranging from trendy to classic, as well as CM Couture, Frascara, Stephen Yearick, Damianou, Rina Dimontella & more.. If you 're driving from the east, Port Perry's Forever Friends Bridal is perfectly situated. They carry select dresses from Montage by Mon Cheri, Social Occasions by Mon Cheri, Alfred Angelo & Avanti Designs (see collection photos, above).